The Weekend Go Go: Twilight Concerts on the Pier, Summer Nights in the Garden, LA Street Food Fest + More! Here are your summer Thursday nights. The quintessential summer weekend approaches. Go forth and love L.A.
How to ensure an instant L.A. crush? Take out-of-towners to the summer Twilight Concerts at the Santa Monica Pier. Prince compadre Morris Day + The Time and Dâm Funk kick off the 2015 season in style tonight. The FREE all ages concert series continues through September 10th. No need to check on the ambiance, however. Everyone looks good with a sunset glow and a moon tan. 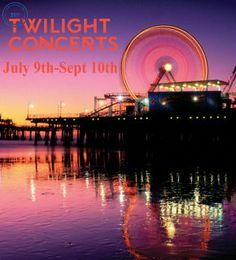 TWILIGHT CONCERTS AT THE SANTA MONICA PIER— Thursdays, July 9 – Sept 10; 7-10pm. FREE/all ages — Santa Monica Pier, 200 Santa Monica Pier, Santa Monica 90401. For directions and more info, go HERE. The First Fridays season may be over but the Natural History Museum still wants to be your TGIF destination. Making its seasonal debut this Friday: Summer Nights in the Garden. Already you’re feeling more summery. DJ Francesca Hardy and Deebs & Jarrell Perry provide the summer night soundtrack for a FREE (but RSVP HERE) evening of botanical tours, toy theater presentations and food trucks. Not to mention…botanically-inspired drinks. Oh, yeah. For each Friday night fête, Paradise Bar mixologists will create a signature drink inspired by the evening’s activities and using ingredients picked fresh from NHM’s Edible Garden: think ginger and lemon verbena. Yum. The aforementioned activities include FREE (but timed ticket required) hands-on workshops: pickling with food writer Emily Han, nature screen printing with Self-Help Graphics and building Bee Hotels with NHM Entomologists. Also, “Smoke Fly Sampling” with NHM Citizen Scientists. Smoke Fly Sampling…. Yes. It’s a thing. SUMMER NIGHTS IN THE GARDEN — Fridays, July 10 & 24 and August 7 & 21; 5-9pm. FREE; rsvp HERE — Natural History Museum, 900 Exposition Blvd, LA 90007. For more info and to RSVP, go HERE. It’s the biggest, funnest, nom nom-iest food fest of the summer. 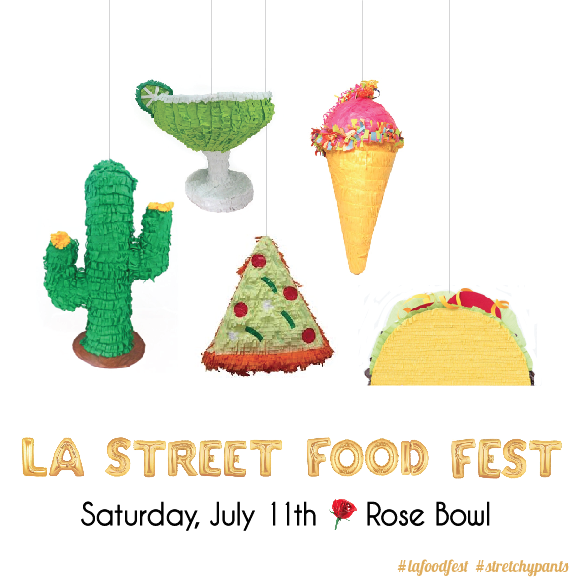 This Saturday, the PRESALE ONLY 6th Annual L.A. Street Food Fest hits the Rose Bowl for five, fantastic hours of food, drink, fun, special treats and free parking. . The 100+ street food vendors include hot gourmet food trucks, old school carts and stands, celebrity chefs, and street inspired dishes from LA’s best restaurants. Middle Feast, champions of last year’s Food Network Great Food Truck Race, makes a special guest truck appearance. Lounging on the Rose Bowl field encouraged…. Returning cool-down options include the Iced Coffee + Donut Zone and the Ice Cream Social; check out exclusive Salt & Straw flavors including Green Corn Tamales and Mole Rojo Flan made with Guelaguetza mole! 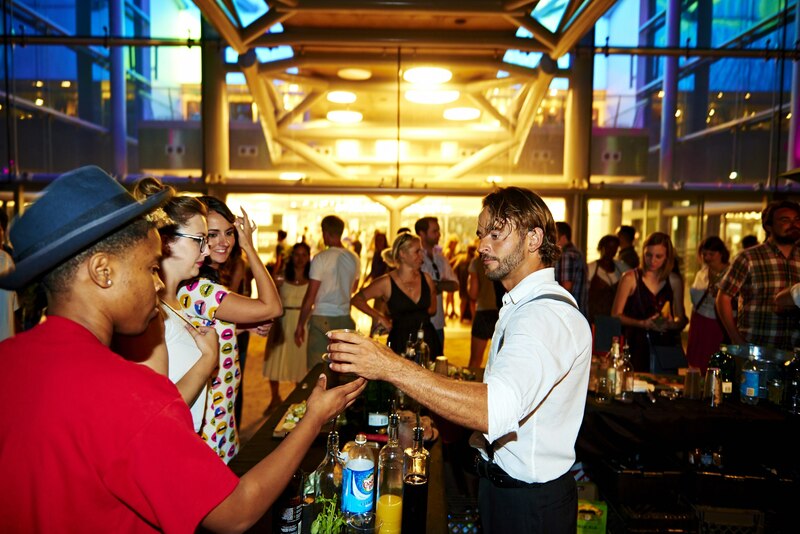 Adult libations — you know you want some — include a tequila tent, six craft beer gardens, wine, crafted cocktails, Ludlow Cocktail Co‘s jelly shots, Guelaguetza’s Michi Mobil micheladas and special cocktails at the Loteria and Tacoteca booths. Corazon y Miel and Matthew Biancaniello helm the VIP Lounge bars. Obviously, you’ll want to limber up your drinking arm as well. Also, ice sculptures. You can never have enough…. 6TH ANNUAL STREET FOOD FEST — Sat, July 11, 3-8pm VIP – $90/5-8pm GA – The Rose Bowl, Pasadena 91105. For PRESALE ONLY tix and more info, including directions and parking, go HERE. Comedy & tragedy behind the wheel…. More Weekend (and Beyond) Go Go Fun!